Well, folks, I don’t want to brag, but I think it’s fair to say I took holding stuff to a whole new level at the video shoot on Monday. I held a light AND a dimmer switch AT THE SAME TIME! Speaking of talent (like how smoothly I segued?) it is my pleasure to announce the winner of the December/January Pitch Pick! BETH!!! with her pitch for Tomboy Rules: Blossoms Are Always Prepared! And congratulations as well to our other 4 pitchers – Rena, Joy, Kirsten, and Stacy – for their terrific pitches! Great work, everyone! I’m feeling a little calorically depleted after all that cheering, and I think we all know the best way to deal with that… 🙂 Something Chocolate, anyone? Today’s pitch comes to us from Julie G. With her background in pediatric nursing, Julie Anne Grasso spent many years literally wrapping children in cotton wool. Every day she witnessed great resilience from the tiny people she cared for, which inspired her to write stories about a little girl elf just like them in The Adventures of Caramel Cardamom Trilogy. After participating in Tara Lazar’s PiBoIdMo in 2013, Julie has been furiously developing her picture book manuscripts. She lives in Melbourne Australia with her husband Danny and their little elf Giselle. The Pitch: Herman wishes he was just like everyone else, but as his mum points out, “There’s no escaping your genes.” Sure, he has the right number of fingers and toes, but when all the other kids are gazing at their belly buttons during gym class, Herman is hiding his coil shaped middle section under his t shirt. You see, Herman comes from a long line of Slinky’s. When just another day at school turns into a daring rescue mission, Herman reluctantly reveals his slinky status to save the day. His mother’s words ring in his ears, and for the first time, Herman is glad of it. He finally finds his place in the world. Please send YOUR pitches for the coming weeks! For rules and where to submit, click on this link Would You Read It or on the Would You Read It tab in the bar above. There are openings in March (which at this point is not that far away!) so polish up your pitches and send yours for your chance to be read by editor Erin Molta! I'd definitely read it. I like the title. BUT, I get the feeling this book is going to be front heavy, meaning it has too much background before you reach the problem. I need to know more about the daring rescue during a normal day. What is the problem at school that Herman faces for which he is uniquely qualified to solve? Thanks so much for your perspective, Joy – I'm sure Julie will find it helpful! I would read it. I like the suggestions below about getting the problem out there right away. That said, having a slinky tummy is a hilarious, and unusual super power. So much fun! Good luck with it. 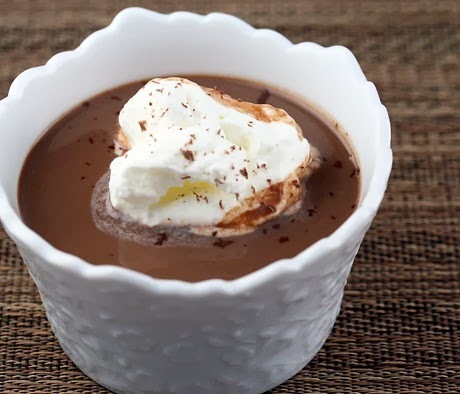 Is chocolate soup hot cocoa or melted chocolate ice cream? Looks good. I would read the story about slinky boy, who comes from a long line of slinkys or slinkies (lose the apostrophe). I'm not sure I like the phrase slinky status. I think pitch focuses too much on his emotions/self-esteem, rather than the action. I would read it as well. Only concern I had – how did he keep the coils from showing through his clothes and bending too much. Such a fun idea tho. Yes, I would definitely read this. When I read “Herman comes from a long line of slinkies,” I was hooked. An illustrator will have a field day with this one! Great point Bev. I picture him wearing a puffer jacket, and wearing very low hanging pants, hehe. Thanks so much for stopping by. Thanks Erik, I will be sure to elaborate more on the action….Thanks for stopping by, he he…. I'm late as in Friday “technically” late. Congratulations Beth! I'm the queen of failed pitches, but wondering if it can be tightened up. I really like the “right number of fingers and toes” because it immediately gave me a “normal” image and then it's like whoa – he's a slinky? Also not certain about the mother's role throughout the story. She seems like a main character in the pitch. Is slinky a trademarked toy? Thanks so much for chiming in for Julie, Jill! I think either will of, Belinda – any form of chocolate and cream works for me 🙂 Thanks so much for your thoughts for Julie! My sister and I used to make our own chocolate soup by stirring chocolate ice cream around in a bowl until it was soupy. Then we would pretend it was our medicine and administer it to each other by the (very large) spoonful 🙂 Thanks for you thoughts for Ms. Grasso, Erik!